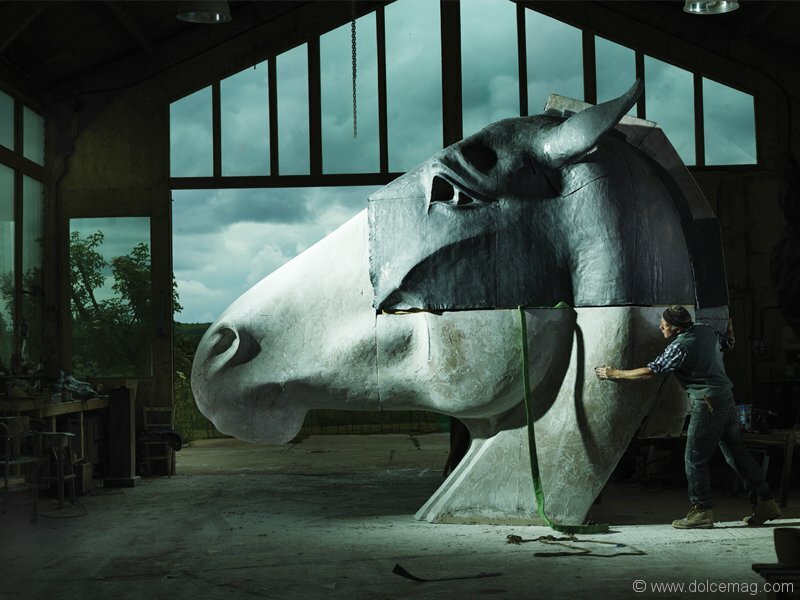 Iconic sculptor Nic Fiddian-Green’s colossal horse heads have redefined the meaning of equestrian dreaming. Nic Fiddian-Green was a student at Chelsea College of Arts in London, U.K., when he went looking for inspiration at the British Museum. He found it almost immediately. In the Elgin Marbles room of the museum, he stumbled upon the marble statue of a horse head, the horse of Selene, an ancient sculpture from the east pediment of the Parthenon. It was, in his words, “one of the most beautiful objects I’d ever seen.” Every maker experiences one of those love-at-first-sight moments with a piece of art, and this was Fiddian-Green’s. He took home his newfound inspiration and began coaxing it out of bronze, clay, riveted sheet metal, soapstone and Carrara and Connemara marble. It wasn’t long before the world fell in love with his horse heads, which range from miniature to massive. 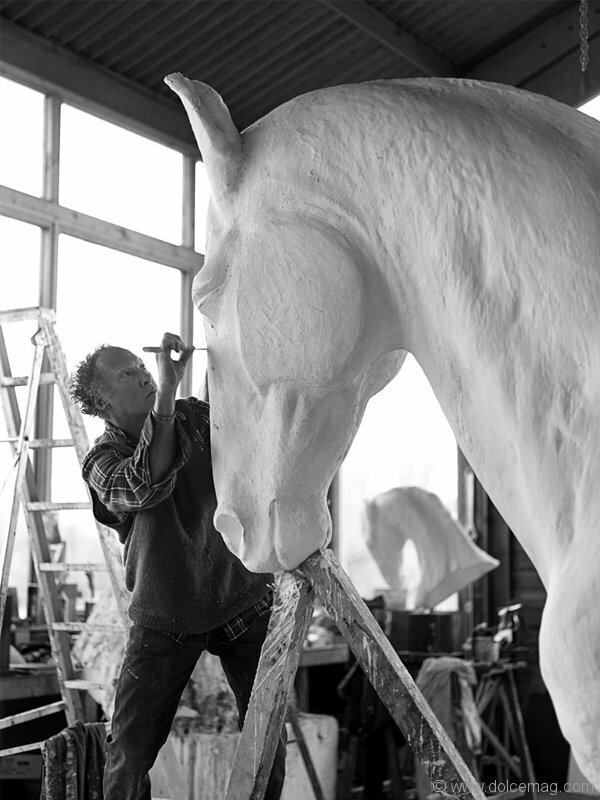 Over the years, Fiddian-Green’s horses have wooed royals — among them Sir Anthony and Lady Carole Bamford as well as the Dowager Duchess of Devonshire, all of whom have adorned their private estates with his pieces — and been loved to the point of landmark status, like his Horse at Water sculpture at the Marble Arch in London. 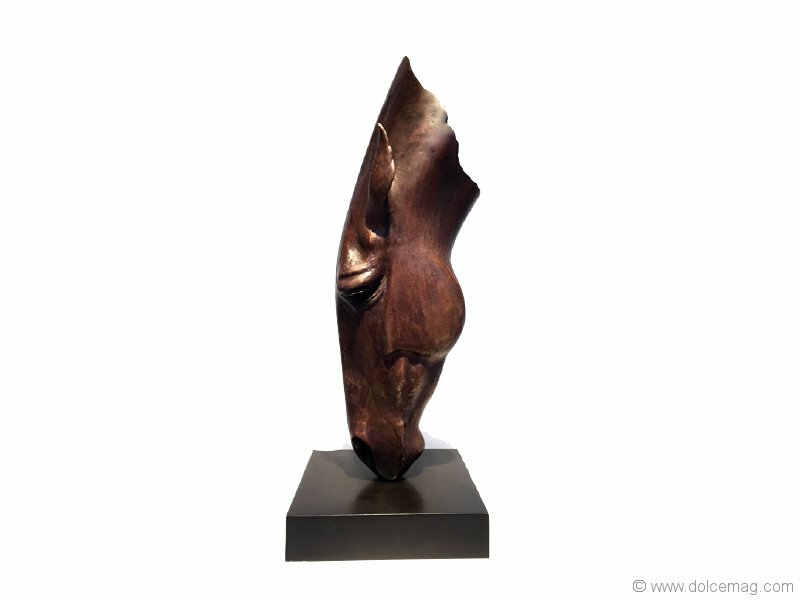 He’s shown at the Sladmore Gallery, Ascot Racecourse, Knowsley Hall and Wellington College, and his sculptures have touched down everywhere from the Middle East to America to Australia. It’s fitting that the horse symbolizes freedom of expression and the driving force that pushes one toward their passion. Perhaps it’s from investing so much of his own time and passion in immortalizing the beauty of the animal, but Fiddian-Green has become the embodiment of those qualities himself. 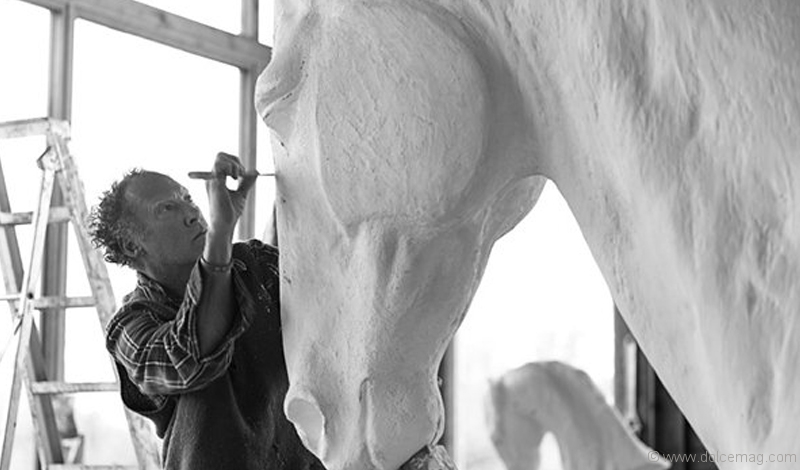 As with most people capable of creating beautiful things, the life story that has given birth to his work has been as marvellous as it’s been tumultuous, from fighting a battle with leukemia to finding the love of his life (Henrietta is, naturally, a horsewoman). After working his magic in a studio in the stables at Surrey’s gorgeous Wintershall Estate, where he uses the horses as life models, Fiddian-Green goes home to what is quite possibly the most charming property in all of England: an 18th-century cottage in the Surrey Downs, where he and Henrietta are in the process of raising four children and eight horses. Upon contemplating Fiddian-Green’s works, one might find it hard to believe there’s such a thing as a fear of horses. Although they’re larger-than-life, his sculptures are anything but unnerving. They offer a chance to explore one of the planet’s most august creatures as though through a microscope, absorbing every carefully placed detail. They’re a reminder that sometimes we, as humans, must set aside our self-imposed power to respect and admire the gentle giants around us.